Since the Fall season has begun I thought I would post this Fall looking cake. The 3 tiers had a vine design with fresh flowers in shades of gold,orange and bronze. 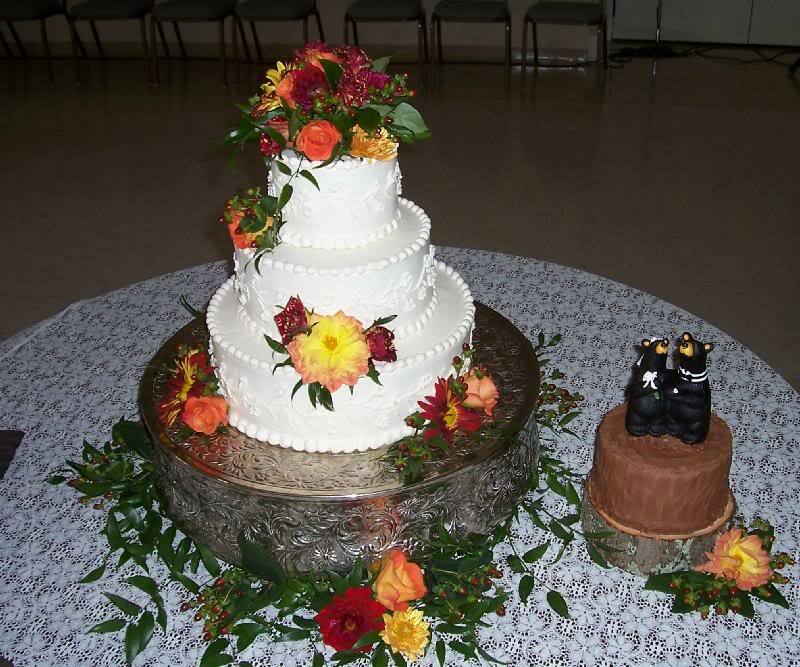 The bride and groom bears proved to be a little heavy to be used as a topper so I baked a small chocolate cake (a 6″) and added a real wooden stump for the cake to set on.